Philip Marks Removals, a family company dedicated to reducing your stress on removals day since 2002. Get a Quote Call us Now! Checkatrade helps customers avoid rogue traders and find trustworthy removal companies. We have passed their strict background checks and our cutomers post regular testimonials for review as part of our ongoing membership. 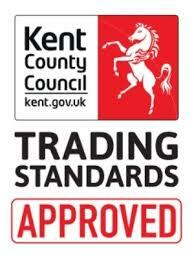 We are also approved by the Kent County Council Trading Standards. Checkatrade is a traders association that helps customers avoid rogue traders and find tradespeople they can trust. Checkatrade runs strict background checks and members must post regular testimonials for review in order to maintain their membership. Philip Marks Removals of Maidstone Kent are a small but established family firm that has been operating since 2002. We believe household removals can be free of stress and we vary our approach to suit the particular needs of individual customers. Our household removal services are complemented by our storage services and professional packing services. Free boxes for moves in the local area. Whether you’re moving a sofa across town or the contents of a mansion to Scotland, we can help. Take the stress out of moving with our professional packing service. Secure, affordable storage solutions from just £2.00 a day. Moving home and making your removal day as smooth as possible has been our focus since 2002 when we bought our first removal van. 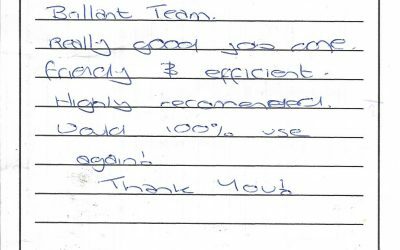 Our customer driven ethos and excellence in relocation and furniture moving services is reflected in our impressive collection of customer reviews. 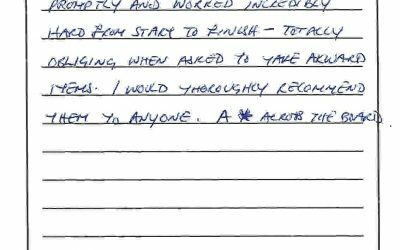 Not just online but handwritten this collection should be the envy of many larger removal companies. 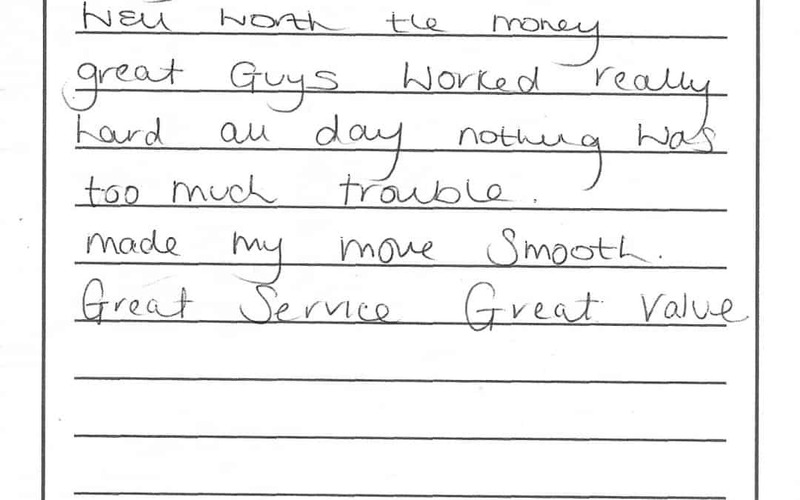 Ask us to quote for your house move we’ll be able to show you recent hanwritten reviews some of which are copied here. 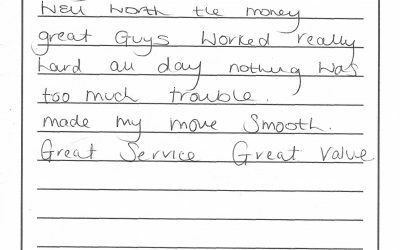 We’re experienced packers, our customers often comment on how much our packing service reduces the stress of moving house. Alternatively if you want to save money and pack yourself we’ll supply top quality cardboard boxes for removals. 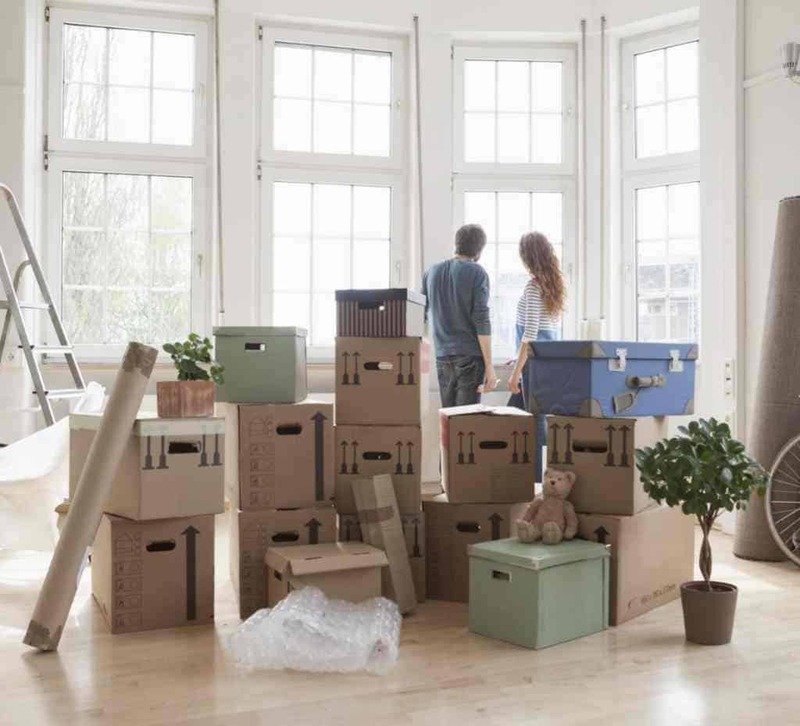 We’ll happily visit you in your home to quote for local or long distance moves and give free tips and advice for any concerns which you may have. Our formal removals quotes include indemnity insurance for your goods in storage & transport and are sent promptly to give you clear prices so that you can plan your costs. Experience tells us that everyone’s different so we like to visit you, not just to see what you’ve got to move but also to address any worries which you might have. This is part of the service which professional local firms should provide. Alternatively we have an online quote form which will allow us to give a good idea of price. If you need a quote for moving house or just want to ask a few questions please give us a call!